Which Travel Vaccinations Do You Need for International Trips? Our bodies are homebodies. While you may like the idea of visiting exotic foreign destinations and experiencing all the culture has to offer, our bodies don’t embrace it. But if you get travel vaccinations before you embark on this dream trip, your body won’t have to worry about “what’s in the water,” and you won’t come home with a souvenir you never wanted. Some courses of these vaccines were administered when you were a child and you’re covered for life. Others require a booster or must be administered over a period of weeks or months prior to departure, so have a conversation with your travel agent and doctor as soon as you determine your itinerary. Here’s a list of some of the vaccinations readily available either through your doctor’s office or county health department (borrowed from Matt Karsten over at Expert Vagabond). You may be required to show proof of vaccination in order to enter the destination of your choice, so do your homework as part of your preparations. If you’re afraid of needles, don’t despair. Some vaccinations can be administered in pill form. Otherwise, close your eyes and dream of your destination. TDaP (Tetanus, Diptheria, and Pertussis): Yes, you were vaccinated for this when you were a baby, but if you’re going out of the country it’s a good idea to get a booster of this combo in order to avoid tetanospasmin, a deadly bacterial toxin found in the soil and animal excrement. Any open wound you may have exposes you to this possibility, and if left untreated, tetanus can be fatal. Diptheria and pertussis are also bacterial diseases which are prevented with the vaccine. Recommended: All countries, regardless of where you’re going. Typhoid Fever: This is another deadly disease spread that’s caused by animal excrement contaminating the water supply. It’s 100 percent fatal. Malaria: Think of how many times over the course of the summer you’ve swatted at a mosquito without wondering if the insect was a female carrying one of four strains of this parasite infection. While some may dispute whether travelers really need to get this vaccine, talk with anyone who has ever had malaria, and they’ll advise you to follow the protocol. Japanese Encephalitis: Never heard of it? Neither had we, but it too is spread through mosquitoes in rural farming areas. If you are traveling during monsoon season to the Far East and Southeast Asia, this is one vaccination you should seriously consider. Cholera: This is one of the cheapest vaccines available and may save you from wasting valuable adventure time in the bathroom. It’s spread by consuming food or water contaminated with feces of an infected person. Are you headed on any international trips? Or have you been on any lately? What kinds of vaccinations did you get? Tell us about it in the comments below, on our Facebook page, or on our Twitter page. A little-known fact about international travel could snarl your plans or bring them to an abrupt halt if you don’t pay attention to it. Just like you read labels for expiration dates, you need to know your passport expiration date. 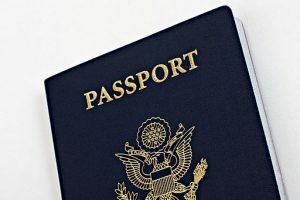 Turns out, many countries around the world, with the exception of the European nations, require passports to be valid for six months or more before your entry date. The restriction may apply to your date of entry or your planned date of departure. That is, if you’re flying home from Spain on December 31, your passport can’t expire after June 30. 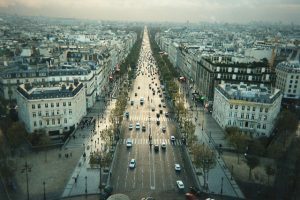 Twenty-six European countries follow a lesser known law called the Schengen Agreement which allows you to enter their sovereignties, provided three months’ validity remains on your passport beyond your planned date of departure. In the United Kingdom and the Republic of Ireland, no minimum validity is enforced. The best way to know which countries have which rules is to check the U.S. Department of State’s website. It has a menu of country-by-country details. Another thing to keep in mind when traveling with children is that their passports are only good for five years instead of 10. For one family, their son’s passport expiration date completely derailed a long-planned trip to Spain. They were just two hours from departure when an American Airlines representative told them their son couldn’t board the plane because his passport was due to expire. Turns out a valid passport isn’t always a valid passport. Check your destination country’s passport validation rules before you plan your itinerary. 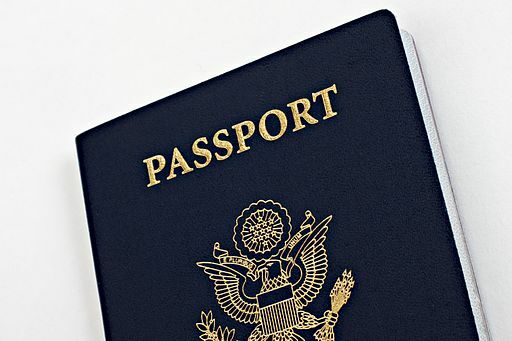 Do what you need to do if your passport will expire close to the country’s expiration date. Don’t try to slip through unnoticed, because they’re looking out for it. Check every person’s passport expiration date before you book your flights. Remember that children’s passports expire every five years, so our best advice is to go ahead and apply for updated documents for any that will expire within the year you plan to go abroad. Book your flights with points so you’ll have options. The family in the story above had purchased their flights with miles, so they were able to get their flights refunded. But if they had waited to get them refunded until after the flight had taken off, they would’ve forfeited them and the points. Ouch. 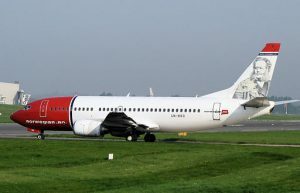 The family in question was able to rebook their flights and used points to put together a last-minute trip stateside. They learned their lesson, so let their experience be a cautionary tale. Have you ever had passport issues when you travel? Any big problems or narrow-misses? Tell us about it on our Facebook page, or on our Twitter page. If you’re planning your summer overseas vacation, you may be surprised to discover you have new options for flying out of a smaller regional airport closer to home. According to Brian Pearce, chief economist and director of the International Air Transport Association, 700 routes have been added in the past year. The increased numbers of people traveling, the entrance of new low-cost carriers bringing long-haul flights to consumers, and the frustration with congestion at bigger airports have fueled the upsurge in offerings at smaller airports, John Grant, senior analyst with OAG, told the New York Times. While most of the new airports with international offerings are in the U.S., carriers have increased their fight options in European and Asian markets as well. This provides travelers with a larger selection for segmented travel while overseas as well. What has made this a profitable consideration for the airlines? The manufacturing of mid-size aircraft with better fuel efficiency. Since 2012, Boeing and Airbus have found markets for their smaller medium- and long-range planes with carriers looking to expand their offerings between smaller cities. Airlines are also finding smaller cities attractive because of the savings in ground costs. Hotel costs for crew, landing fees, and fuel costs are lower at smaller airports than at the bigger ones. Travelers also save because their costs — like car rental and parking — are lower too. Airports are also using data about the travel costs of companies in their cities. For example, Hartford, Conn. airport officials showed Aer Lingus how 23 of Hartford’s business were spending $40 million on trans-Atlantic flights every year. So Aer Lingus has begun daily flights to and from Bradley International Airport. If people can get to their events a few hours faster, rather than traveling an additional two or three hours to fly out of a major airport, everyone wins. Finally, passengers benefit from these new routes because it’s a lot less hassle when flying from a smaller airport. Security lines move quicker, customs and immigration lines are shorter, and baggage is claimed faster. Who wouldn’t want those benefits if they could get them? Do you fly out of regional airports or battle your way through the larger ones? Do you have any preferences? Share them in the comments below, on our Facebook page, or in our Twitter stream. 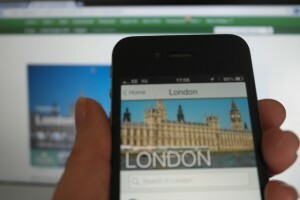 Preparing for an international trip with your mobile phone requires research and planning. 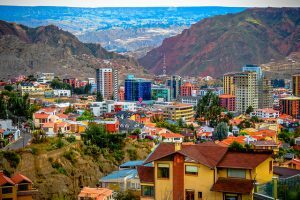 Get off the plane and just start using it, and you’ll be hit with a variety of fees and roaming charges, easily racking up several hundred dollars in a single week. Whether you need the ability to call or just the ability to access data and text, the following tips will help you utilize your device to its fullest while keeping overall costs down. All phones use either GSM (Global System for Mobiles) or CDMA (Code Division Multiple Access) as their radio systems to communicate with cell towers. GSM phones are unlocked and can be used with any carrier, while CDMA phones are locked to a specific carrier. Read through your plan to make sure you know what the charges will be for international use, or if you’ll even be able to use your phone while abroad. If you have a GSM phone, you can switch out your SIM card with one in the country you’re visiting (more on that later). Otherwise, you may be able to purchase a temporary plan through your carrier. If you have a CDMA phone, you may want to buy a pay-as-you-go phone once you arrive in your destination country. 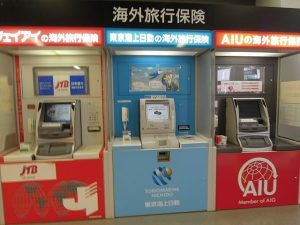 If you haven’t traveled outside the country before, or if it’s been a few years, you’ll be happy to know it’s possible to avoid ATM fees for cash withdrawals or transaction fees while conducting business abroad. 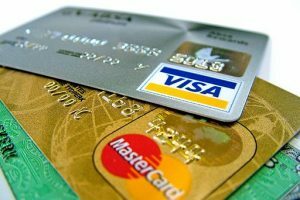 A May 2016 article on Smarter Travel pointed out that most American credit card issuers have cards specifically for frequent international travelers. But don’t assume that you’ve got the right kind of card just because you have a company credit card. Make sure your bank card isn’t charging you to use their ATMs overseas. American Express, Capital One, Chase, BankAmericard, MasterCard, and Barclay all offer programs that waive international transaction fees on certain types of cards. But if you use your standard issue card, here’s what percentage of fees NerdWallet says you should expect to pay. Most people think travel insurance is a way to recoup the cost of an airline ticket in the event of a personal emergency or health situation that makes it impossible for them to complete their travels. But travel insurance is more than just personal insurance. Consider the impact this year’s terrorist attacks in Brussels and Paris, to mention just a few, have had on the travel industry and travelers’ plans. While travel insurance rates haven’t spiked, or changed at all, since these events, the commodity with the terrorism clause has been standard since September 11, 2001. In fact, according to an article in The New York Times, companies like squaremouth.com have a special section of their travel insurance site dedicated to policies that prospective travelers can search to find terrorism coverage. Travelers should understand that insurance with this clause doesn’t provide blanket coverage. In fact, it’s very narrow. For example, it will not cover a trip already in progress, but might allow you to get a refund if an act of terrorism has occurred within 30 days of your scheduled departure. The policy may also exclude coverage in the event of a terrorist attack if you choose to travel to an area known for terrorist activity or where an attack has already happened. According to Christina Tunnah, regional manager for the travel insurance company World Nomads, two factors determine whether or not you’ll be able to submit a claim: 1) When you purchased the insurance, and 2) How your plans were impacted by the terrorism. In some instances, for a claim to be paid, the event may have to be officially declared a terrorist attack. She always advises travelers to call. While the odds of being impacted by an act of terrorism while traveling are exceedingly slim, knowing your options will help you make an informed, objective decision. Do you usually purchase travel insurance? Are you considering it more now than before? Share your thoughts with us in the comments below, on our Facebook page, or in our Twitter stream. Traveling with money is always a challenge, because there are twice as many ways to lose money as there are forms of payment. Not only can you just misplace it or leave it behind, but you’re also at risk of pickpockets and thieves, especially if you travel outside the United States. So here are a few tips for managing your money while traveling on business, especially if you travel overseas. Get a compatible credit card. The card you already carry may be used internationally with a simple call to the company to alert them of your travels, but a growing number of European and Asian countries now require a card with a built-in chip. If you are traveling on business and your company doesn’t supply you with a credit card for expenses, make sure your personal line of credit can be accessed without penalty. Then, get a personal card to be used only for business expenses, one that lets you rack up airline or hotel points. Additionally, use this card whenever possible, rather than making cash withdrawals overseas. Not only are the fees higher, the exchange rate is less favorable when you exchange it yourself. Consider on-body storage. You may have been told that money belts are a safe way to carry money, but an experienced thief can recognize them immediately (hint: nobody wears a belt that thick). Instead, money belts and fanny packs broadcast to thieves that you’re not a local, which could increase your odds of being a victim. Consider a money pouch that hangs on your belt inside your pants, or a wallet that hangs around your neck inside your shirt. Just don’t go digging through it when you have to pay for an item; the whole point of on-body storage is for it to be a secret! Wouldn’t it be wonderful if Elon Musk’s Hyperloop train existed right now, and could travel from New York to LA in 45 minutes? We would never experience any of the ill effects of time zone travel. While jet lag still exists because the Hyperloop doesn’t, airlines and science are looking for some natural ways to help your body prepare for the adjustment to your new locale and reduce jet lag symptoms. 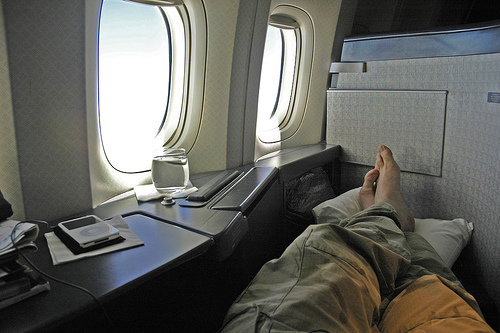 This prompted Fast Company to ask whether we’re on the verge of eliminating jet lag. Short answer, no. But we may be getting closer. For one thing, airlines that offer long haul and international flights have begun experimenting with LED lighting in the cabin to mimic the time zone destination of the flight. “It turns out you can pretty heavily manipulate levels of melatonin in the body by exposing people to different wavelengths of light,” David Cosenza told Fast Company. He’s a project manager for Lumileds, a company that manufacturers the LED lights that are now used in the new Airbus A380 XWB and the Boeing 787 Dreamliner. While you may have no control over the light you’re exposed to as you fly, you can prepare your body using one essential oil and a supplement. Rosemary oil, either applied to the skin or added by the drop to a bottle of water, relieves cramping and nausea, promotes digestion, aids circulation, boosts the immune system, and eases respiratory systems working with recycled plane air. Also, consuming turmeric — in tea, as a supplement, or as an ingredient in your meals — will help you avoid headaches when flying. Its powerful anti-inflammatory agents require some planning, though, so begin incorporating it into your diet up to three days in advance of your travel. Speaking of your diet, consider choosing lean protein if you want to remain awake once you reach your destination. Turkey, chicken, and fish satiate and provide extended release energy, which will help you transition to your new time zone. Avoiding fatty foods, which induce sleep, is key. Alcohol and caffeine actually inhibit restorative sleep, so choose water or an herbal tea throughout the course of your travel so that there’s nothing to block your body’s natural circadian rhythm. These natural methods of curbing jet lag will have you alert and ready to go when you reach your destination. How do you beat jet lag? Do you have any tips or tricks? Share them with us in the comments below, on our Facebook page, or in our Twitter stream. There are almost as many ways to see the world as there are people living in it. Those who travel on someone else’s dime have learned how to take advantage of at least one of the following six opportunities: sell, write and promote, exchange, work, points, and luck. Selling may seem like the most unlikely way to travel free, but if you’re an organizer who is good at bringing people together and you convince 15 of your friends or family to vacation together somewhere, you just might be able to negotiate free airfare or lodging for yourself. Another option is to get a job in the world of international sales, and spend a lot of your time on the road. Travel writing/promoting is a growing business and a unique way to get a great vacation in exchange for a review on social media of your experience. Even if the cruise or tour doesn’t live up to expectations, it’s still really a win-win: you get to travel free and you get to share the pros and cons of your trip with your audience. TravelPro has a luggage reviewers program and is a travel partner with Two Monkeys Travel. We’re meeting all kinds of travelers and influencers who fund vacations through their own promotion and writing work. 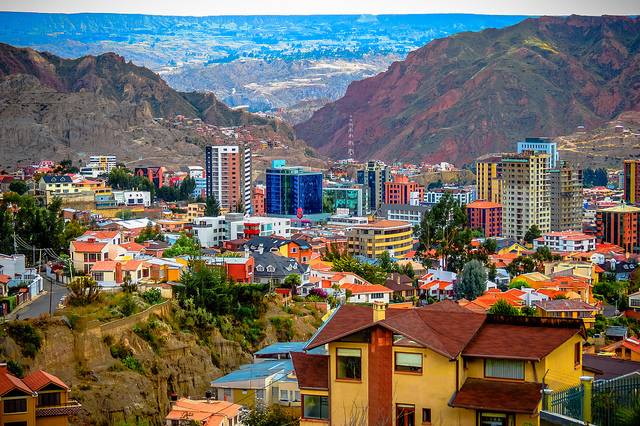 Have you ever wanted to visit a country and live like the locals? Through Couchsurfing and HomeExchange.com, you can share authentic travel experiences while staying in someone’s home in one of 65,000 homes in 165 countries or invite a traveler to stay with you while visiting your town. If you travel for work, one of the greatest perks is tacking on a few days or taking an extended vacation after you’ve completed your responsibilities. After all, the company has already footed the bill for your airfare, so you can delay your departure by a few days, and you just have to pay for that time yourself. Perhaps the most common way to travel free is to use points with one of the many loyalty programs available through airlines or destinations like Disney. Do your research and glean from those who have learned the ins and outs of the system, and you’ll find amazing vacations can be earned by using a credit card or hoarding your points from work travel. Have you ever journeyed to see the world? Paid, free, or nearly so? How did you do it? Share your stories in the comments below, on our Facebook page, or in our Twitter stream.